Here is a building they are making no more of. Grainerys were forerunners to the modern day grain elevator and date back to 9500 BC. The grainery above is also what some would refer to as a corn crib. That term is correct as well. A corn crib can be a specific type of grainery. Spelling seems to differ with geography. Some spell it granary and some grainery. Growing up in S.W. Minnesota I have always seen grainery as the spelling. It was most often pronounced grain-ree. Other parts of the U.S. spell it granary. This entry was posted in Uncategorized and tagged abandoned, agriculture, buildings, copyright ryan ware, corn crib, decay, grainery, granary, out buildings. Bookmark the permalink. Interesting. I grew up not far from you and I’ve always spelled it granary. Oh, how I wish the granary still stood on the farm where I grew up. 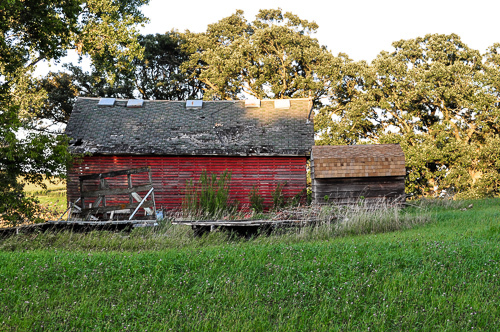 I grew up in SE Minnesota and my husband and I love to drive the country roads to photograph old farms and homes. When I was growing up my parents would take us on country drives on Sunday to see them as well. Thanks for sharing! Ahhh, the Sunday drive. I remember those too. Lots of fun when you were a kid and didn’t get very far from home.